IRmep filed a Freedom of Information Act lawsuit on September 1, 2017 against the U.S. Department of Treasury after the agency refused to release the names of employees, their titles, departments and phone numbers. IRmep is particularly interested in more information about employees working at the Office of Terrorism and Financial Intelligence, first requested via FOIA in the year 2012. In 2014, Treasury released a list but redacted the names of OTFI employees except Luke A Bronin, David Samuel Cohen, Daniel L. Glaser, Barbara C. Hammerle, Susan Leslie Ireland, Elizabeth S Rosenberg, and Adam J. Szubin. 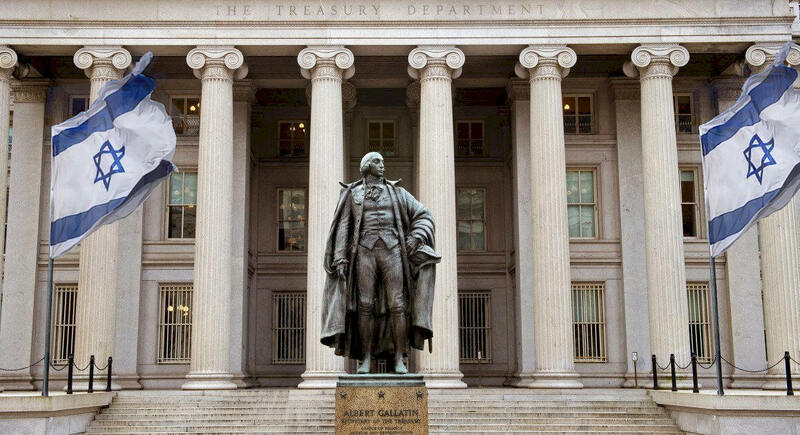 In 2018, Treasury is again attempting to withhold nearly all names of employees working at OTFI. The American Israel Public Affairs Committee (an entity ordered to register as an Israeli foreign agent on November 21, 1962, but which has never complied with the order) and its associated think tank, the Washington Institute for Near East Policy (WINEP), were instrumental in lobbying the president for the creation of the Office of Terrorism and Financial Intelligence (OTFI) unit early in 2004. See Washington Institute for Near East Affairs testimony in support of the creation of OTFI headed by Stuart Levey, Senate Hearing 108-802, Counterterror Initiatives In The Terror Finance Program, Hearings before the Committee On Banking, Housing, and Urban Affairs, September 25, October 22, 2003, April 29, and September 29, 2004 U.S. Government Printing Office. Though OTFI proclaims it is charged with “safeguarding the financial system against illicit use and combating rogue nations, terrorist facilitators, weapons of mass destruction (WMD) proliferators, money launderers, drug kingpins, and other national security threats,” the secretive office studiously avoids confronting major terrorism generators, such as tax-exempt money laundering from the United States into illegal Israeli settlements or proliferation financing for Israel’s clandestine nuclear weapons complex. The OTFI rebuffed IRmep’s related FOIA attempts to obtain information about OTFI sanctions and Levey’s numerous taxpayer-funded trips to Israel during his tenure. OTFI made its employees available for public presentations and Q&A sessions mostly to a select number of organizations (all designated as “Israel Affinity Organizations” in the 2016 book, Big Israel: How Israel's Lobby Moves America) such as the Washington Institute for Near East Policy and the Foundation for the Defense of Democracies. When Levey stepped down in 2011, the top job at TFI was passed to David Cohen, who worked at the same Washington DC Law firm as Stuart Levey, Miller, Cassidy, Larroca & Lewin LLP (which later merged into Baker Botts LLP). Cohen continued to limit the OTFI’s public exposure. On September 12, 2012, he refused to answer reporter questions about Israel’s possession of nuclear weapons, and whether sanctioning Iran, a Nuclear Non-Proliferation signatory, over its internationally-inspected civilian nuclear program was an example of double standards at OTFI. Cohen was succeeded by longtime OTFI employee Adam Szubin, who was appointed to lead OTFI during the Obama administration, but who was never confirmed by the Senate. Szubin then served as interim Under Secretary of OTFI from January 20, 2017 until February 13, 2017.According to the news and intelligence website DEBKAfile, TFI is now being headed up by an official with current or former Israeli citizenship, Sigal Pearl Mandelker. The chief lobbying group that worked to create the OTFI, and presumably ideologically vet its chiefs, is currently attempting to create new enforcement powers to target Americans found guilty of boycotting Israel over its endemic human rights abuses. The AIPAC’s “Israel Anti-Boycott Act” will allow secretive units such as OTFI and new units housed the Export Import Bank to fine Americans up to $1 million and imprison them for up to 20 years. Free speech rights are not an obstacle. OTFI worked to successfully imprison Javed Iqbal for nearly six years for airing Hezbollah videos over his privately-owned cable network that AIPAC and its Israel affinity organizations found distasteful. OTFI shut down nonprofit charities the Israel lobby opposed such as Al-Haramain, Benevolence International, Global Relief, and Kind Hearts with little due process. 02/26/2018 Release letter 2 (PDF) Bureau of Public Debt -BPD (PDF), Financial Management Service - FMS (PDF), the Office of the Comptroller of the Currency - OCC (PDF).